In a market ruled by fierce competition, recruiting good software developers/testers has become an art you need to master to get the best talent. I truly believe that the term success is, in itself, rather subjective – what I consider to be a success may not be the same as you do. But there are indeed a lot of commonalities amongst effective recruiters. Although I’m still fairly new to this game, I believe that I am capable of giving adequately good advice due to what I have achieved so far. At the end of each day, results are what matters – you need to deliver candidates that will create an impact. If we were to give a short description of what a recruiter’s job consists of, one can sum it up in 3 words: screen, interview and hire. Then, repeat the whole process all over again. It seems quite simple but alas, that is not the case. Below you will find 6 tips and tricks that I found to be helpful on a daily basis. I would argue that this is one of the most important steps, by far. If you are told that you need to find a profile, you have to know exactly what you are looking for. This means that you must have a detailed and thorough explanation on what the profile is (i.e., the developer’s / tester’s required experience, the technologies that he/she will use, what his/her role on the team will be, what his/her project will be about, and so on). This means that you need to have a clear view of what you are looking for, otherwise you are wasting not only your time but the candidate’s as well. Do not be afraid to ask as many questions as you need for you to feel comfortable with the profile that you are looking for – always know what you are talking about. If not, you’ll just feel lost and you’re doomed to failure. Also, remember: there is no such thing as the perfect candidate– that is a myth – and you’ll miss out on a lot of great talents while searching for this. Instead of finding what does not exist, focus on finding candidates that make a fit and display a potential to grow: making a fit revolves around the fact that the candidate believes in the philosophy of your company; potential means that the candidate shows an ability for self-improvement in terms of his/her soft/hard skills. You know the market that you are working on – IT. We are talking about a very competitive market and therefore, you need to find a way to grab the candidate’s attention. LinkedIn has to be one of the best tools ever created for us recruiters to work with, and that is the one I mainly use. 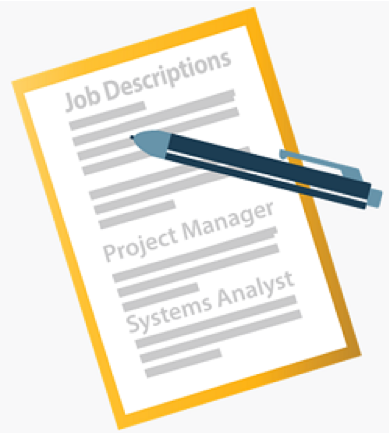 Carefully identify the candidate’s profile, having in mind the requirements given to you. It would be nonsense for you to approach a candidate that clearly doesn’t make a fit in the project – again, you would only be wasting your time and the candidate’s as well. After having identified a potential candidate, make it as personal as you can! Introduce your company, explain to each person his/her role on the team and what the project is about. Try to have the candidate available for a phone call, so that you can provide details about your company and further explain the project as well. Explain why he/she should work at your company, what your perks are and also how the project and the company can benefit from his/her hiring– these are ways for you to grab the person’s attention. There isn’t really a magical formula that will work on everyone – what works for one person may not work for the next one, so you must be able to adapt. This is a matter of luck as well. Another way for you to find a possible candidate is through referrals. 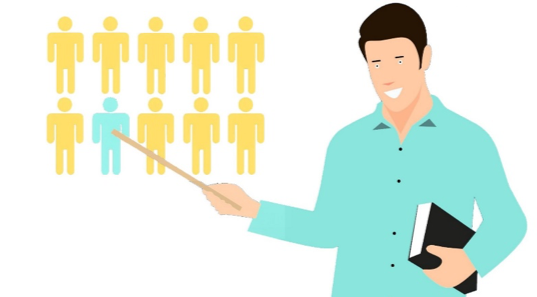 Ask internally if a colleague knows of a possible candidate who would make a great fit with the project or, alternatively, ask for references on your LinkedIn connections – I have found quite good candidates through both these methods. Also, at Cleverti I am able to constantly and openly communicate with developers, tech leads and other geeks. Therefore, if I am unsure whether a candidate would make a fit in a project, I’ll ask them. This prevents me from contacting people that seemed to make a fit at first, but whose technical skills weren’t exactly what we were looking for. Make a cold call. I would say, be fearless, but do not be careless – if the candidate tells you to call at another time, then do so. Do not forget to always be empathetic – put yourself in the candidate’s shoes – and understand their reasons. Know how to listen. Do you know why you have two ears and one mouth? So that we can listen twice as much as we speak. Always listen to the candidates and to what they have to say, more than what you want to say. This means that you do care about them and that you are paying attention to what they are saying, rather than you doing all the talking and not giving a proper opportunity for the candidate to introduce himself. Be courteous. It doesn’t matter if you had a bad day – don’t let that be shown during the phone call. That would just be unprofessional. Although everyone is entitled to have their own problems, you cannot let that ruin your call with the candidate. Be flexible: in order for you to succeed, you have to realize that your day does not begin and end at the same time, every day. You have to adjust your schedule, as much as possible, in order for you to accommodate with the candidate’s availability. On a first phone call, always thank the person for their availability. After all, this person has agreed on a phone call with you and is willing to spare a few minutes of his/her day to listen to whatever you have to say. Give a brief introduction to your company and how you operate and try to understand if the person would make a great fit with your company’s culture. Understand the candidate’s background and motivations for a change to see if they would make a fit in the project and if it would make sense for you to move forward with their profile. That is, validate the candidate’s soft skills. Lastly, I’d say that it is very important to talk about wages – understand the person’s expectations and see if you can meet them. Although I tend to understand that this is quite an intrusive question, this is for the sake of managing expectations. Everything tends to be negotiable, and this applies to most things (not only salary), but saying “yes” to an expectation and then not meeting it, is a big no-no for me. If you believe that the person has the right attitude and mindset (i.e., you have validated the person’s soft skills), you may proceed with the validation of the candidate’s hard skills. Invite the candidate over to your company – it is always better to do a face-to-face meeting. In most cases, the candidate is at work and has issues leaving it so that he/she can come to your office to do this validation. Put yourself in the candidate’s shoes – if you understand that this person is having issues to come to your office, due to time constraints or any other valid reason, then offer to do a Skype meeting. A Skype meeting is better than no meeting at all. In my case, we have Tech Leads that help out in this matter. If they approve the candidate, then we can proceed with the process and hopefully, end up hiring the person. Now, I cannot stress this one enough. There just isn’t a valid excuse on why someone wouldn’t be able to give a candidate proper feedback. 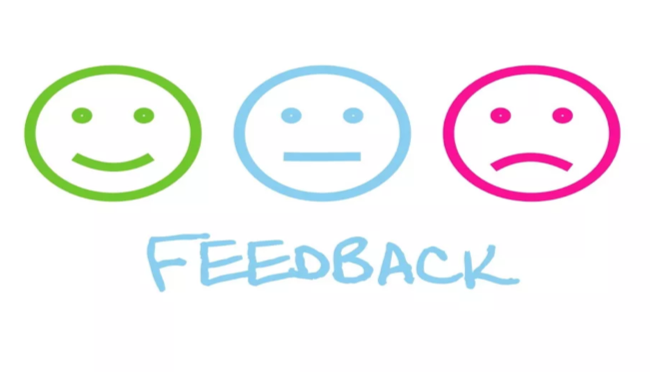 Whether it is a positive or negative one, you ought to give feedback to each and every candidate. You are talking about other people and your lack of feedback can only badly impact your company and yourself as well – be careful. If the candidate has failed in any of the aforementioned steps, take your time to give proper, constructive feedback, to him/her. Explain why the person wasn’t valid enough for the position (i.e., English wasn’t good enough, lack of knowledge in terms of their technical skills, the client decided to move forward with another more experienced candidate, and so on). But it is part of your job to make sure that this person receives your feedback. Remember – you are the face of your company, and you are representing it. What you do, directly impacts positively, or negatively, on your company’s image. Remember the part about you having to give proper feedback to each and every individual? There are way too many things for a recruiter to pay attention to, therefore being unorganized will only wreak havoc. You have to keep track of what you are doing and ensure that the candidates know how their process is going, otherwise they’ll think that you are lacking interest in them. Remember that this is a very competitive market – you are not the only person approaching this candidate. Always be available for phone calls/constant communication, so that you can keep in touch with each candidate. If it was decided that you can move forward with the candidate, fantastic. If not, that is also part of the process and this is something that may happen. Make sure that you save this person’s contact for future opportunities and make sure that you do, indeed, contact this person later on. What good is it for you to be able to create a great database of CV’s if you do not make use of them? Lastly, I would argue that, unfortunately, luck plays a crucial role in our job. Not everything depends on us – sometimes, the candidate just decides to leave the process halfway or changes his/her mind. Sometimes they disappear into thin air. At times, it’s a matter of knocking on the right door at the right time. Luck isn’t something that you can control. But the rest is.